Tap the left image circle and the right image circle. You will get two images A and B. 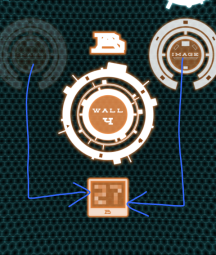 Drag them on top of eachother (shown by the clue above the wall 4 circle) and you'll see two numbers. 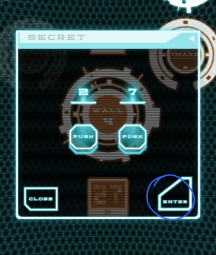 Tap the wall 4 circle and push the left button until it says 2, and the right button until it says 7, then press enter. Proceed to the next 100 Walls level!